If you think that the wafer - a fat-calorie treat, not having any relation to the right and diet, then I'll have to dissuade you. My Diet waffles really not only delicious, spicy, perfectly suitable for breakfast, snack, and just coffee, but also useful. First of all, because the whole-wheat flour and bran - an excellent source of slow carbohydrates, as well as essential micro and macronutrients, minerals, fiber, helps cleanse the body. I myself long enough experimenting in search of the perfect mix of beneficial ingredients to achieve the most gentle wafer taste that would not scare her composition, and taste fascinated :) Through much trial and error Diet waffles were invented! Of course, you can continue my experiments (I'm all for it!) And replace one type of flour on the other hand, add a little more bran or, conversely, do not add them at all, I think the taste will not be harmed. nutmeg, vanilla and other spices - to taste. 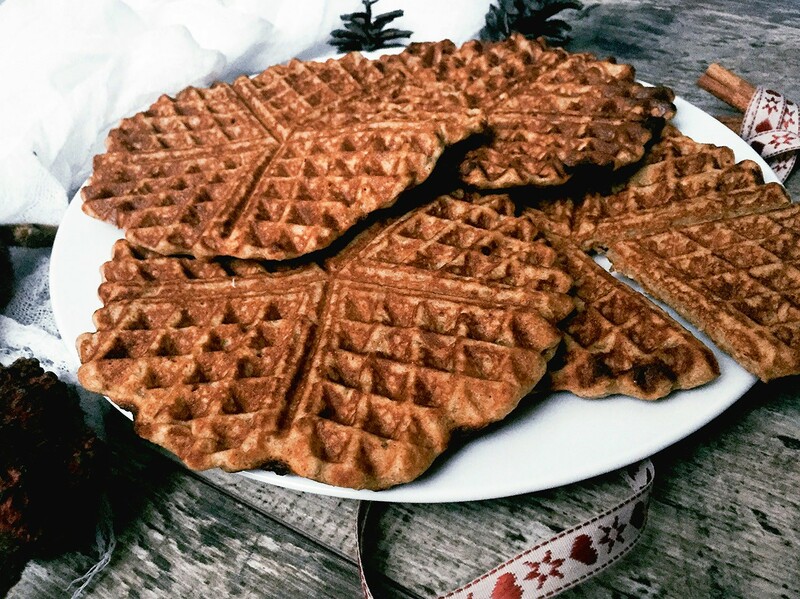 * To prepare a dietary waffles, you can mix up all kinds of flour, using as oatmeal, polbyanuyu, Flax, buckwheat. ** I recommend using it mashed (not pureed fresh apple / pumpkin), with it the consistency of the final product is desired. Apple and pumpkin puree you can use in any ratio, or even replace one another. And make it easily from a small amount of product (apple / pumpkin) in a microwave oven (it took me about 5 minutes to bake the chopped apple and a couple of slices of pumpkin). Whisk the eggs with the milk, in a moment enter the puree, after - oil. Смешайте ВСЕ сухие ингредиенты. Введите их в яично-молочную смесь. Тщательно перемешайте. Правильная консистенция теста, как у сметаны. Если получилось гуще, можно добавить еще немного молока. Again, use the sugar as desired (but without the taste of wafers will be pleasant), I add a little agave syrup. Elektrovafelnitsu, heat to the desired temperature, according to the instructions. 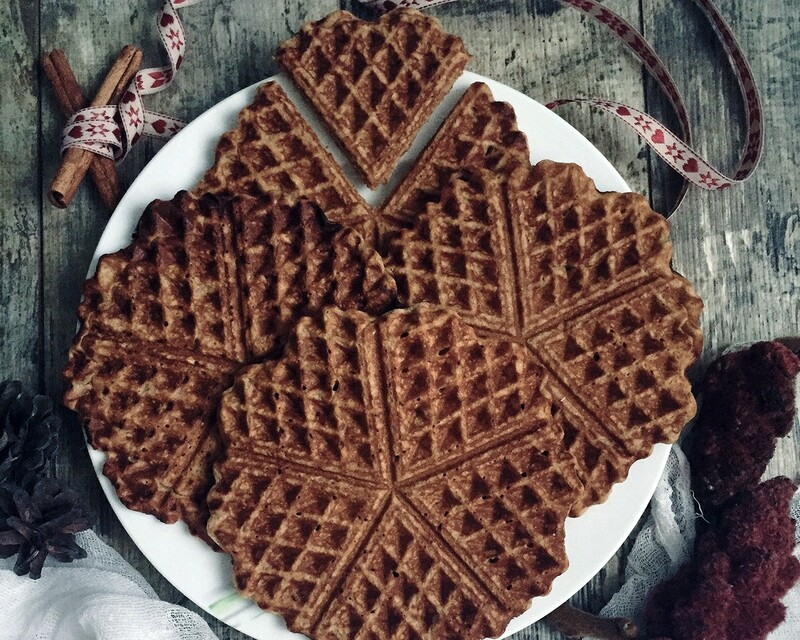 Bake waffles 2-3 minutes. Apple and pumpkin waffles are ready Diet, bon appétit!